This tree was planted by Matilda Puckey ( nee Davis), who was sister-in law to Elizabeth Mair, referred to below. It is likely to have been one of a box of seedlings collected from Norfolk Island and brought to New Zealand in 1836 by John Edgerley, gardener and botanist to Lieutenant Thomas McDonnell, R.N. (Retired). It is generally accepted that this was the first introduction of this species to New Zealand. 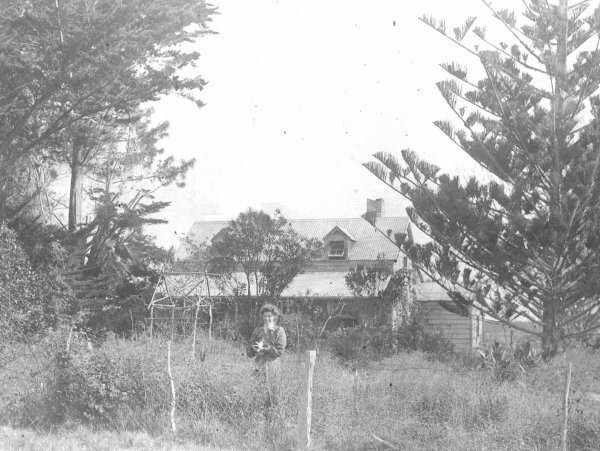 The history of how two seedlings arrived at Waitangi is recorded by Robert Mair (1830-1920). 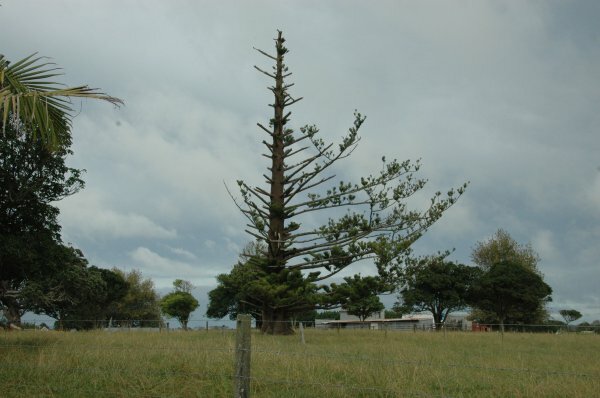 ‘In 1836 my mother (Elizabeth, wife of Gilbert Mair) had a box of Norfolk pines given her by Captain Thomas McDonnell of Hokianga. She gave two to James Busby, the then British Resident, and planted one at our home, Wahapu, Bay of Islands (See record NR/0726).’ Other seedlings from the box were planted at a number of mission stations in the North and one at McDonnell's residence at Horeke, with some being destroyed by Elizabeth Mair's young daughter. One of the trees gifted to James Busby is listed on record NR/0734 (Hodgson, G.L. 2015). Severely affected by weather and age, now regenerating. 23 Apr 2015 Hodgson, G.L.